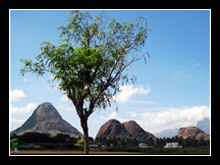 Eruvadi is sorrounded by many hills. 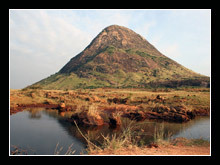 the oosi pothai (Needle hill), irattai or TVS pothai (twin / TVS hill) and others. 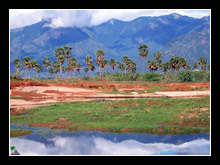 Western mountain range lies west of Eruvadi. 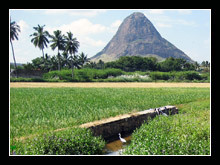 View of the Hill captured with a pond north of Eruvadi. Base side view of a hill. 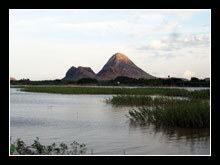 The view of needle hill with reflection in the water. 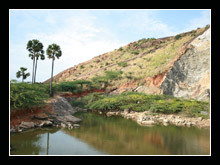 The water canal (Waikaal) soth of Eruvadi. 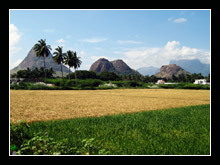 View of the hills on the backset of paddy field south of Eruvadi. 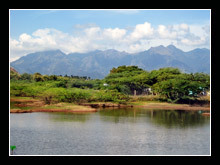 View of hills from Ponna Kurichi pond. 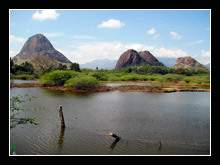 View of Western Ghat from Ponna Kurichi pond.